On the deli counter at Murray’s Cheese, New York City’s oldest cheese shop, Michael Krempasky cuts a thick slice of a honey-yellow cheese with a Day-Glo orange rind. “This is Meadow Creek’s Grayson. It’s a raw-milk, washed-rind cheese,” the cheesemonger says, referring to the process of repeatedly washing the cheese in liquor and saltwater during fermentation. The cheese is soft and sticky, and even over the aromas of the hundreds of other cheeses in the shop, it is remarkably sharp and pungent. Krempasky describes the flavor with a look of admiration: creamy, slightly eggy, with a tangy bite. No doubt about it, this cheese is damn good. But now, as the feds review a 60 year old law, it could be on the chopping block in more ways than one. In the United States some raw-milk cheeses are as illegal to buy and sell as Cuban cigars or imported ivory. Their crime? They haven’t been shelved for long enough. 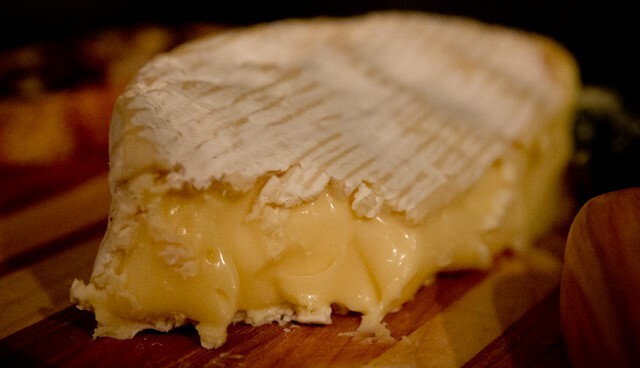 By federal law, all cheeses aged less than 60 days — usually soft cheeses like mozzarella or brie — have to be pasteurized (heated for sterility) in order to be sold. The idea is that at 60 days, the fermentation processes taking place within the cheese will have naturally eradicated any harmful bacteria. But the Food and Drug Administration (FDA) is currently reviewing its restrictions on unpasteurized, raw-milk cheeses, with the intent of elongating this time-period. “Recent scientific literature has raised doubts about the efficacy of 60-day aging as an alternative to pasteurization,” says Marianna Naum, a policy analyst at the FDA. Enacted in 1950, the 60-day rule was a compromise between cheese lovers and food safety experts, with the former concerned that pasteurization altered both the flavor and traditional methods of cheese making. But much has changed since 1950. One recent study by food scientists at the University of Vermont found strains of the dangerous bacteria E. coli alive and thriving in raw gouda and cheddar cheeses that had been aged for over 100 days. And recent multi-state fatal food-illness outbreaks of even older unpasteurized cheeses have convinced many food scientists that 60 days may simply not be long enough. Though the FDA refuses to comment on the specifics before they complete their review, which began in 2009, cheese makers and sellers worry the feds might go for a longer mandatory aging period — perhaps as long as 90 or 120 days. This would effectively ban entire categories of raw-milk cheeses, such as traditional American blue cheeses or washed-rinds like Meadow Creek’s Grayson, which typically hit their peak ripeness around 60 to 90 days. Some raw-food enthusiasts, such as Sandor Katz, culinary author and self-styled ‘fermentation-guru’, insist that raw-milk cheese, with its natural flora of microbes, is inherently healthier. The heat from the pasteurization process “destroys or diminishes certain nutrients,” Katz says. “Pasteurization denatures proteins which can degrade the milk,” and alter its nutritious value, he argues. But extending the 60-day aging period might not be the last word for food safety in cheese. “There is still the problem of contamination,” Ralyea says, “It’s just the natural process.” In pasteurized cheeses, for example, post-pasteurization contamination can be as big a problem as the bacteria that the heating process initially treated. “After pasteurization, proper handling is essential [because] there is no silver bullet out there that is capable of fixing contaminated cheese,” Ralyea says. Outside the United States, other countries have found alternatives to strict pasteurization or aging rules. In the 1980s, Switzerland suffered several fatal outbreaks of the bacterium Listeria monocytogenes in its raw-milk cheeses. But rather than responding to the food illness scares by mandating pasteurization standards, Swiss officials implemented more general sanitation standards for cheese makers and dairies. Today raw-milk cheeses from Switzerland are generally regarded as very safe, Anderson says. Indeed, six of the seven cheeses from Switzerland sold at Murray’s Cheese are made from raw milk. We are never going to be 100% safe from bacterial infections; though pasteurization reduces risks, it does not prevent us from accidentally leaving the milk out a little too long and drinking it. If there is joy and flavor to be had in raw cheese but the concern is bad bacteria will lead to infection, I would hope technology would save the day to preserve the tangy and savory flavor from good or harmless bacteria while killing that which is pathogenic: Use phage. I think Intralytix already has a phage spray they use on cheese in supermarkets for killing Listeria. How hard would it be to apply this technology to raw cheese at 90 days? I am aware there are some repeat offenders, so phage should be relatively easy to provide for them. Hayden, we went through the pick it up, finndig someone who sells it blah blah blah. Such a hassle, especially in our state where they thought about passing a law to dye pet milk blue. California does have pretty great raw milk laws. Too bad the other states couldn’t see that all the Californians are not dying from drinking it. But you know those Californians they’re like granola: fruits, nuts and flakes right So how would they know anything about healthy stuff ? :-DBTW love your bumper sticker, it made me laugh. I’ll have to remember to tell my husband that one.And yes, I do heat my milk for yogurt because your right .much better consistency. I do like mine very thick. I have even tried just a touch of vegan and/or organic gelatin to thicken it slightly. Draining of course is the best way to make it thicker but sometimes I don’t want to mess with that.